NDMA Recruitment 2019 - Job notification for 21 SRO, Sr. Consultant & Technician Posts in NDMA, New Delhi on Contract Basis. Applications are invited by NDMA - National Disaster Management Authority within 45 days from the date of publication of advertisement in the employment news for 21 vacancies. (iii) Doctor of Philosophy or Doctor of Medicine or Master of Surgery in the relevant field from a recognized University or Institute or equivalent, or equivalent degree. 01 Diploma in Electronics or Telecommunications from a recognized Institution or equivalent. 02 Three years experience in Computer Hardware or Software including routine troubleshooting and as a LAN or WAN administrator in Defence Forces or Central Police Organizations or Police Wireless and Communications Telecommunications or Information Technology. 01 i) Post Graduation in International Relations/ Cooperation and Disaster Management. ii) Should have a minimum post qualification experience of 7-10 years and knowledge & exposure in the domain of International Relations with respect to Disaster Management and sub-domains in line with the objectives outlined in ToR. 01 i) Master Degree in Hydrology/ Hydrogeology/ Water Resource/ Civil Engineering. ii) Persons with Masters/ M Phill/PhD. In flood Control/Flood Management, Geography and Urban/Regional Planning will also be considered if accompanied by proven expertise and experience in the area of Disaster Risk Reduction related to flood and river erosion. 01 Masters Degree in Actuarial Sciences or Economics or Commerce or Financial Management/MBA. Minimum 8 years of experience in Disaster Risk Financing 8 years experience in Insurance regulatory organization/8 years experience, In the Insurance sector/ 8 years experience in micro-financing. 01 i) Master degree or equivalent in disaster management natural sciences, engineering, urban planning, geography, environmental and/or development-related fields. 01 Masters Degree in Agriculture, Economics, Meteorology, Agro-meteorology, Geophysics, Soil and Water Conservation, Disaster Management and Development related disciplines. 01 Masters Degree in the relevant discipline. 01 Master Degree in Civil Engineering/ Hydrology/ Water Resource/ Urban Planning. 01 Master Degree/ Geology/ Environmental Sciences or BE. 01 MBBS/MD in Emergency Medicine/ Community Medicine/ Hospital administration /MBA in health and hospital management with minimum 7 years (MBBS)and 5 years(MD) of work experience in the field of Emergency Medical Preparedness / Disaster Management. - Masters Degree in Social Science/ Museology/ Architecture/ Conservation/ Civil Engineering/ Design/ Disaster Management/ History/ Heritage Managment/ Archaeology/ Urban Planning. 01 M.Sc/ M.Tech/Master of Engineering degree in Remote Sensing Geo-Informatics. Persons having experience in the fields of GIS Platform, Digital image processing, Cartography and Microzonation will be preferred with 07 years experience in above-mentioned fields. 01 Master degree or equivalent in Law having experience of 5 years and also with experience in dealing with the Public Interest Litigation (PIL)matters. Eligible candidates may send their bio-data in the prescribed format (attached below) to Under Secretary (Admn. ), National Disaster Management Authority, A-I, Safdarjung Enclave, New Delhi- 110029 within 45 days from the date of publication of advertisement in the employment news, along with certificates establishing educational qualification, experience and grade Pay (for retired Government Servant). 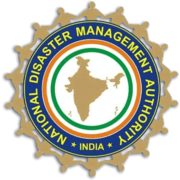 NDMA Recruitment 2019 - Apply Online for 18 SRO, Sr. Consultant & Other Posts in NDMA, New Delhi on Direct Recruitment / Deputation / Contract Basis. Online Applications are invited by NDMA - National Disaster Management Authority from 13 Apr 2019 to 28 May 2019 for 18 vacancies.